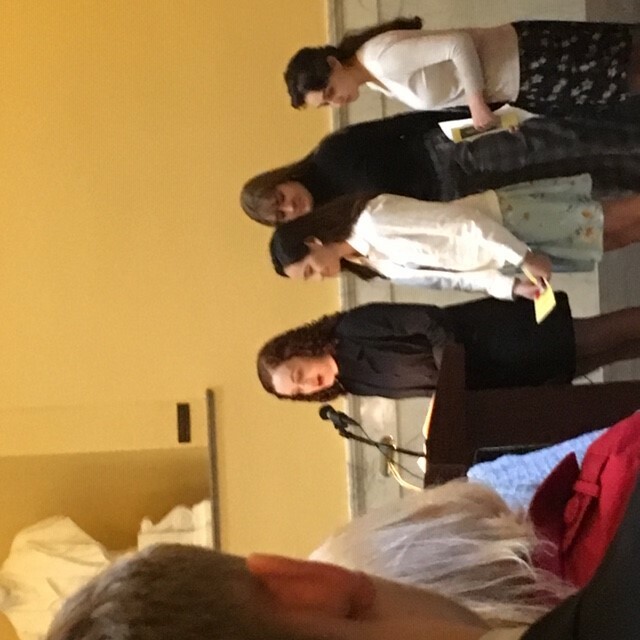 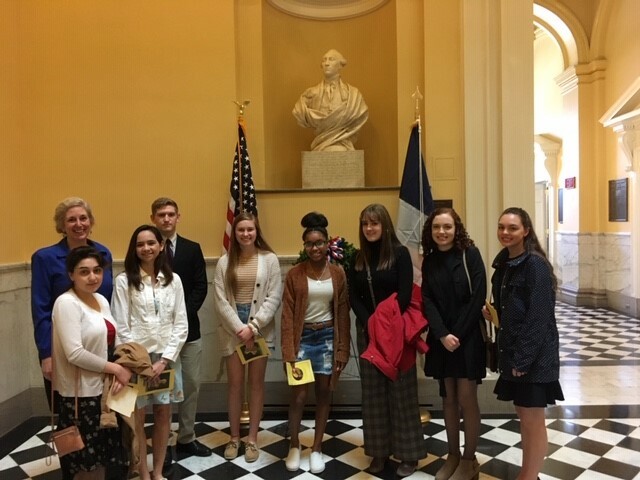 The American Friends of Lafayette Society invited LHS French students to help celebrate General Lafayette at the State Capital on March 14th. 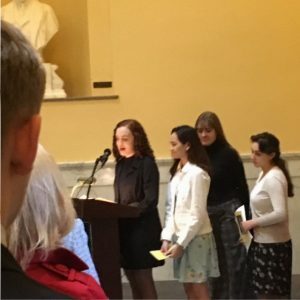 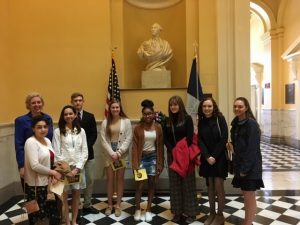 Students met with French officials and representatives from the American Friends of Layette Society and the French group, Alliance Française, and they toured the Richmond State Capital and the Executive Governor’s Mansion. 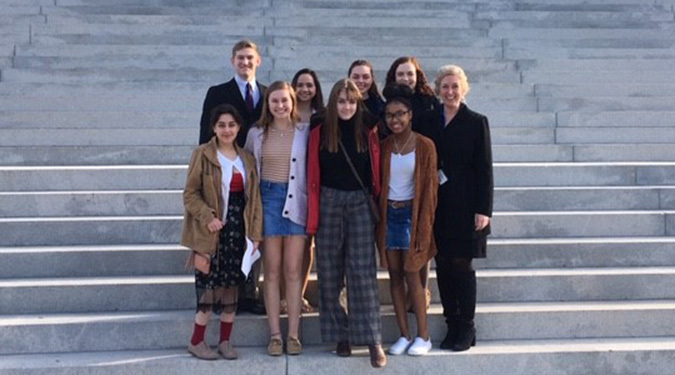 Finally, students were treated to the delicious French luncheon of Coq au Vin, Salade Niçoise and for dessert, Mini Crème Brulées and Tarte Tartin! 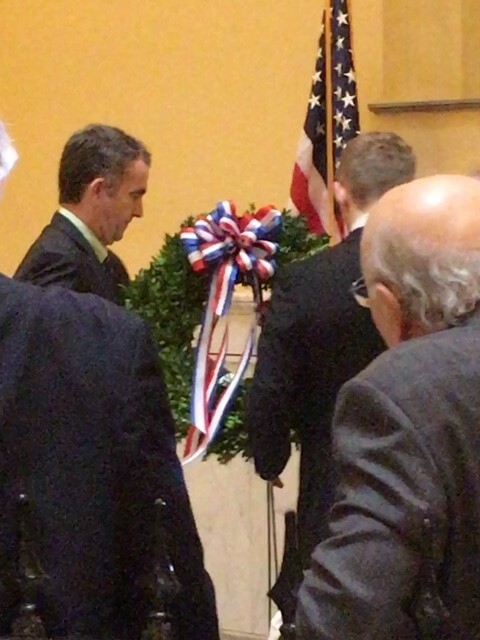 J. Barton was selected to meet Governor Ralph Northam and lay a wreath at the bust of General Lafayette.